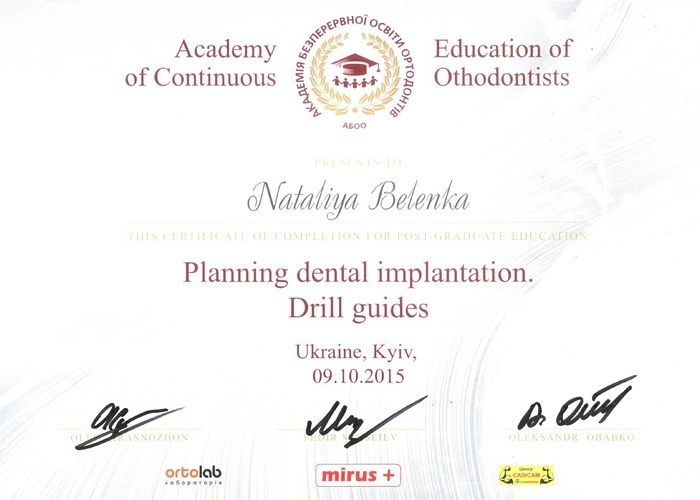 15 years of working with more than 1440 dentists throughout Ukraine! 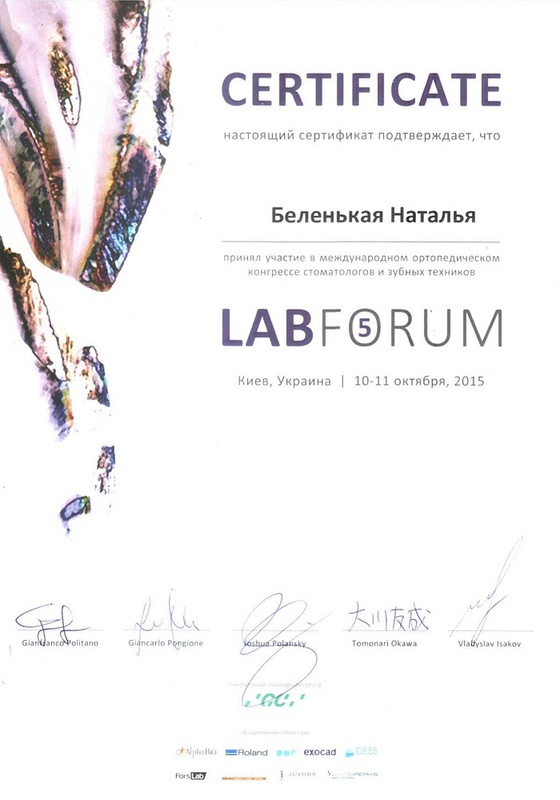 «DLV project» is a LAB with a fine facial futures! • aspire to full naturalness. We presently have our own milling center, due to additive manufacturing its possible to perform tasks of different complexity and with any constrains successfully. 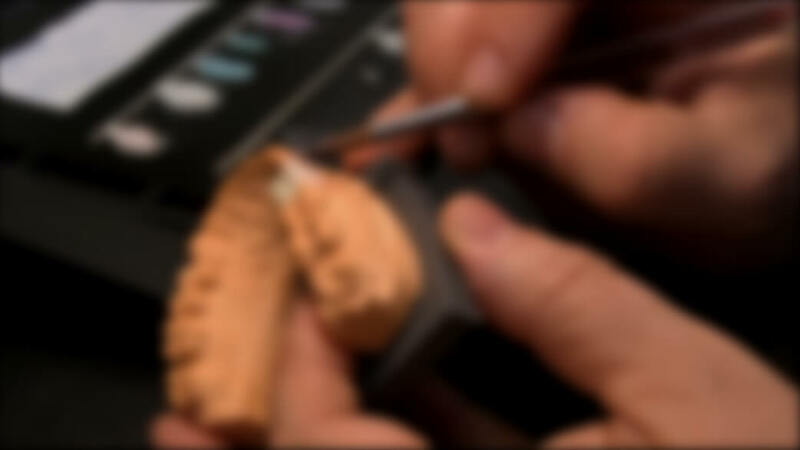 It enables dentists to offer the best prosthetic solution with regards to clients requests and individual approach. We greatly appreciate your cooperation and trust, that allows our dental lab to grow and prosper constantly, thus let our both colleges and clients succeed as well. Our highly qualified colleges have visited more then 1500 conferences, seminars and exhibition during 13 years of working experience. We make your smile - alive! 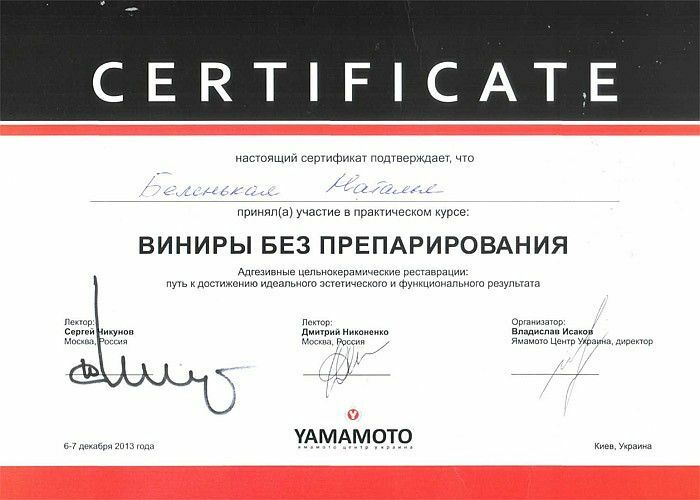 May you have a chance to encounter with the word of the latest technologies of «DLV Project»? Nothing but the result you can see! The possibility to monitoring and correcting at any stage of treatment. SLM - Selective Laser Melting. Production of metal ceramic based on chrome cobalt dental alloy. Metal-free ceramics production from zirconium oxide (FULL CONTOUR, inlays). Milling of individual dental abatement from zirconium dioxide. Temporary crowns PMMA. The latest technology enables to print individual orthodontic models, surgical templates and removable denture bases. «Dr. 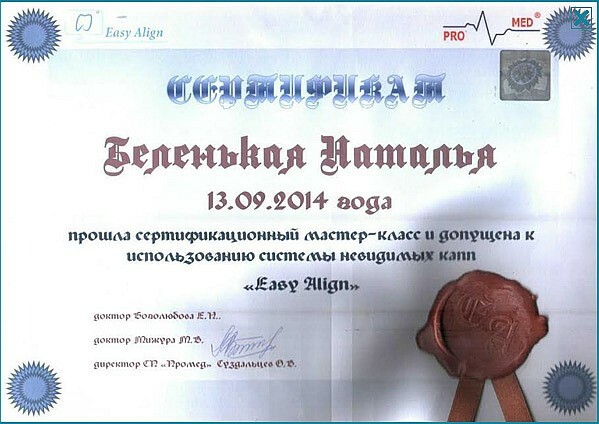 Nigai» Clinics, Pavloglad city We created a long distance but at the same time very close, efficient collaboration. Speaking briefly about my experience with dental lab I have to admit : punctuality, which ensure a high level of responsibility, including timelines ; high quality of work and Thoughtfulness in every aspect with no detail missed. The wide range of services and flexible price policy will make you at ease right away. My best recommendations! Dental Clinics, Sumy city. It's being a while since we met first time and hereby I would like to point out the high level of working organization, specially I am personally impressed with administrator's organizing skills, efficiency, sincere very kind assistance in solving any sort of problem. 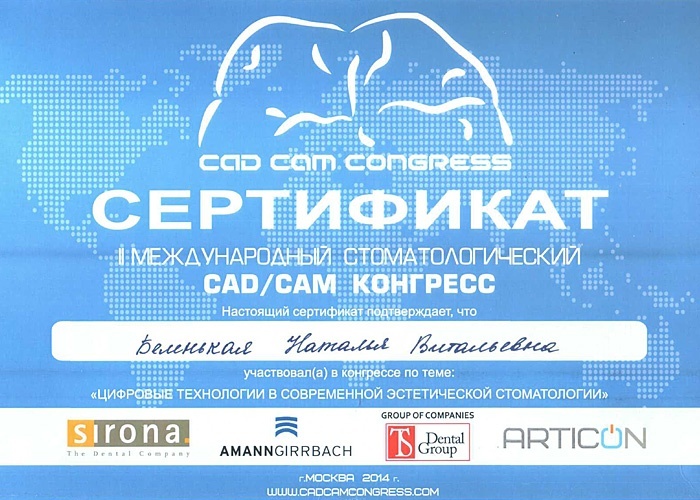 When some different opinions appeared about partial removable and non removable dentures constructing but it came out very comfortable to work with ceramics technologist mr. Zahorulko. In conclusion, I'd like to express my best wishes and luck for implementing innovative technics emphasizing on very individual approach in every different case. 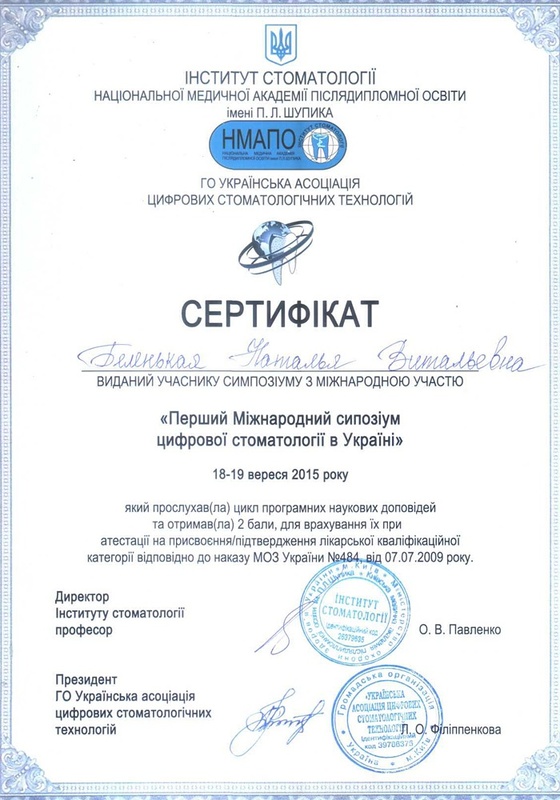 Dental Center «МКC», Kharkov city We have been cooperating with Dental Lab «DLV-Ptoject» for many years and now I am proud of our really tight relations, we become really intimate. Professionalism and high quality standards, stability and simply great, full of care personnel. We all have hard times but we constantly strive for perfection. Let me express my appreciation for everything, wish you good work and happy grateful clients. 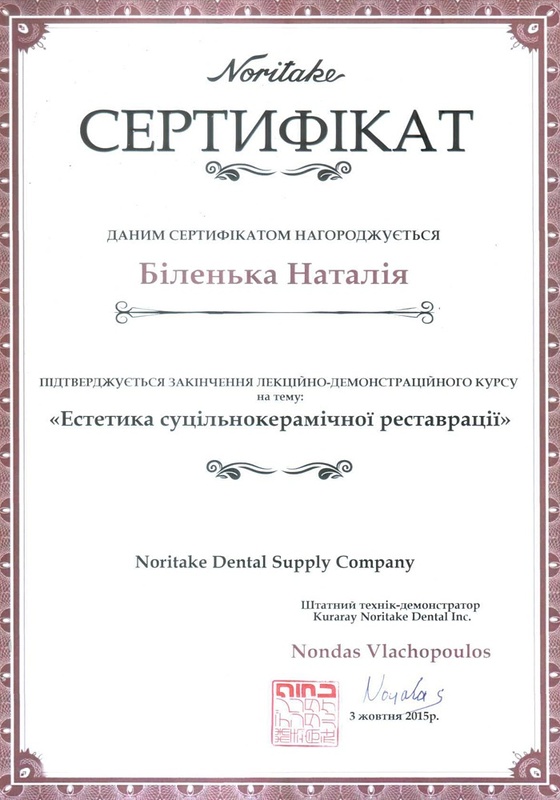 «Doctor Vysotskiy» clinics, Gluhov city Dear Dental Technicians, I would like to mention the fact that the quality of removable dentures is really impressive, specially comparison of tension band wiring and plate fixation are "very satisfactory"- that what I can say without hesitation. As far as ceramics design is concerned here I believe dental technician should be able to see the work by dentists eyes. In this case the work will most satisfying for both. Family Dental clinics, Energodar city Thank you for the high efficiency of performance. An accurate assessment of work is highly appreciated, recommended both for colleges to cooperate and clients. Dental clinics , Kharkov city We have been working together with Dental Lab «DLV-Project» for more than 10 years. Nothing else but many words of appreciation and gratitude come to my mind. Very high standards of working and efficiency, it is always my real pleasure to deal with you guys at avery stage of our collaborating: it's starts from talking to administrators, discussing on professional issues with dental technicals and even delivery system made the best on impression on me. There's no doubt that very thoughtful management structure enables it all possible, thank you so much! Dental clinics, Kharkov city I would like to mention that it's my pure pleasure to get to know you and work with you. Such things like individual approach, great quality and flexible price policy lead us always to best results. Thank you for constant consideration, understanding and making best possible by organizing a high-performance workplace. 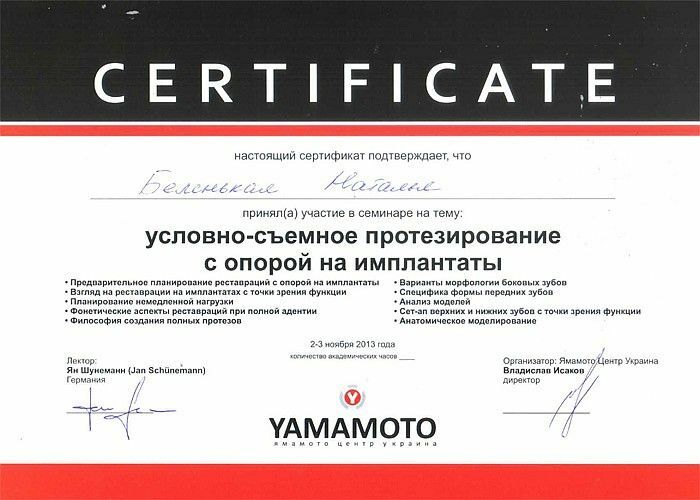 Nedrygailov city We sincerely appreciate our continued cooperation. Thank you DLV project dental Lab for the long and very fruitful collaborating work, your constant consideration and high professionalism in solving any kind of problem in the most efficient way possible. Working hours: 10:00am - 7:00pm (mon-fri), 10:00am - 5:00 pm (sat), - but specially for you our dental lab operated 24hours a day, 7 days a week!